The judge of guarantees of the Second Court of Justice, Justo Vargas, denied the bail of release to former President Ricardo Martinelli for considering that he did not find variation of the legal-criminal circumstances within the process that is followed to the defendant. “We believe that the most prudent thing is to deny the bail request for release requested by the defense of the former president of the Republic,” he said. 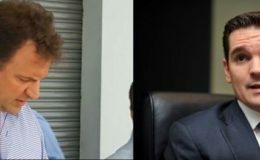 Vargas’ decision is a blow to the defense of the leader of the Democratic Change party, which opted for the ordinary Criminal Accusatory System after the Supreme Court of Justice declined jurisdiction to judge his client. It is the fourth time Martinelli has been denied his freedom, either through a precautionary measure or bail. The defense immediately appealed the arbitration of the judge, who set for February 11, at 10:00 am, the hearing before the Superior Court of Appeals. After deliberating for almost three hours, the judge of guarantees determined – after making an evaluation of the elements of conviction presented by the parties – that in the process that is followed by the ex-governor, by alleged telephone jabs and two crimes of embezzlement, the four crimes that are imputed to him are accredited. He also noted that the head of the Security Council is also the President of the Republic. However, he made it clear that Martinelli’s link to the facts of which he is accused will be clarified in the oral trial phase, which has been set for March 12. The judge’s analysis contemplated the purchase of technology to make the telephone interception, the information that rests in the folder on the telephone interventions and the absence of a resolution by the Criminal Chamber of the Court that authorized the same, as well as the invoices that prove the acquisition of the eavesdropping team, among others. ‘Apparently, for the indicated elements, the four crimes were given; the issue is to prove the link of the indicated person, and prove that the order was given by the president of the Security Council, which in turn is the president of the Republic, “said the judge of guarantees. The hearing, which was held at the Second Court of Justice of the Gil Ponce Palace, began at 9 a.m. yesterday. 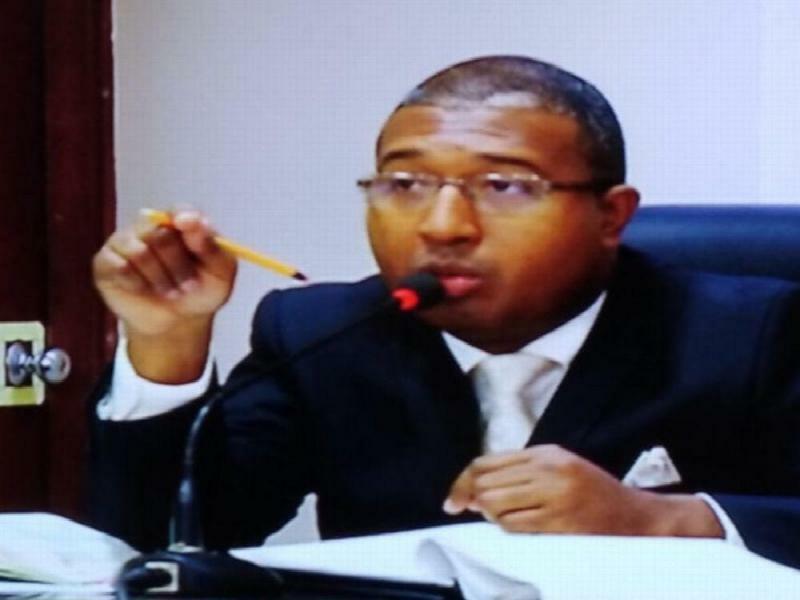 The courtroom was almost full, compared to the last hearings chaired by the judge of guarantees Jerónimo Mejía, before the Plenary of the Supreme Court of Justice declined jurisdiction of the case. The lawyer of the former president, Alfredo Vallarino, presented the arguments to try to convince the judge to grant bail to his client. Then, the judge allowed the word to the Office of the Prosecutor, and later to the complainants. Once the allegations were finalized, Vargas granted the victims and the ex-governor the use of the floor. Martinelli told him that nobody is above the law, but it seems that he does not apply the condition of being human. He compared his condition to that of the Jews exterminated in the Nazi concentration camps, whom the Germans considered subhuman, ‘untermensch’, in German. ‘Before the judicial system I consider myself an untermensch, a’ sub human being, ‘claimed the exmandatario. He complained that this process has the purpose of removing him from the political arena, because his popularity as a candidate for mayor of the capital exceeds 85%. He reported that he had received messages from President Juan Carlos Varela in which he was warned that they would not grant bail. He spoke of his deteriorated health and added that on orders of ‘Varela, who heard 10 people’, he was taken out of the National Hospital on 21 December, when he was about to undergo medical examinations for five days. For its part, Balbina Herrera, victim of the punctures, who spoke a few minutes before Martinelli, strongly requested the judge to deny the bail request. He advocated for the rights of victims and denounced the constant attacks he has suffered each time he leaves the audience. He asked for respect from the former president and reminded the judge that, through the espionage team, Martinelli got into his house and then hung a tweet in which he said that ‘for seeing the red pantyhose Balbina asked for $ 30 million’, paraphrased Herrera. ‘The victims feel insecure, we do not have police to take care of us, the one who failed was him (Martinelli);that assumes his responsibility as such ‘, since throughout the process has not denied that he punctured the phones, said Herrera. As a victim, the leader of the Democratic Revolutionary Party said she was not willing to share her intimate life with anyone and insisted that her privacy was violated by the former president without judicial justification. The defense of the exmandatario, represented by the lawyer Alfredo Vallarino, offered $ 500 thousand for the judge to grant the bail to his client, amount that is equivalent, he recalled, to half of the sum set by the Court of the Southern District of Florida, States United, when the process of extradition of the former president to Panama was fulfilled. Vallarino arranged to hand over to the authority the passports -diplomatic and ordinary- of his defendant to reassure the fears of escape alleged by the complainant. Also the possibility that his client is prohibited from leaving the country and that he presents himself periodically before the court to sign when the judge decides. Added to this, said that the judge could dictate a measure of distance from Martinelli to the complainants, and offered technological methods for the Judicial Secretariat to submit his client to a monitoring process through his cell phone, by the GPS system, granting the IP number and the activation of the ‘face time’ system, so that the authorities can verify that their customer is carrying the mobile phone. The lawyer Vallarino resorted to the strategy of separating his defendant from the crime of embezzlement, which has the most severe punishment. In this regard, he explained that in the audit report that collects the details about the loss of the eavesdropping equipment, carried out by the Comptroller General of the Republic, his client is not mentioned. Immediately the judge called him to order, because it was not the time to go into that kind of considerations. During his speech, the lawyer stated that the state of health of the former president is not the best and presented two medical reports prepared by cardiologists, who recently evaluated him. Vallarino said that his client, being twenty months in prison, has practically served in preventive detention the minimum penalty of the crimes of inviolability of secrecy and right to privacy, which include one to three years in prison. 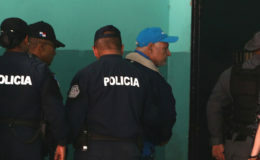 However, Dalia De Castro, senior prosecutor of the First Prosecutor’s Office Against Organized Crime, stressed that Martinelli has been in prison for seven months in the prison El Renacer, and that the Supreme Court of Justice determined that time has run since he was extradited. to Panama, where he faces a sentence of 21 years in prison. Vallarino argued that his client has not yet been convicted, therefore, as he should be considered innocent by justice, he is entitled to the principle of exceptionality. 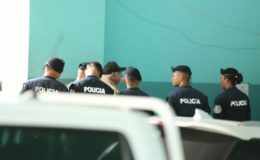 However, the prosecutor argued that there are several elements that link Martinelli to the facts of which he is accused; situations that accredit the victims and the witnesses, who will give their version during the oral trial. Outside the court, Luis Eduardo Camacho, spokesman for the former president, and a group of sympathizers shouted slogans for the freedom of their leader. Voices crept into the courtroom, where the judge asked the participants for maximum concentration. Vargas asked some questions to the speakers with the intention of knowing the details of the case. He emphasized in the medical part of the prisoner -report he requested before decreeing a recess to evaluate the bond-, as well as in the evidences about the purchase of the listening equipment.